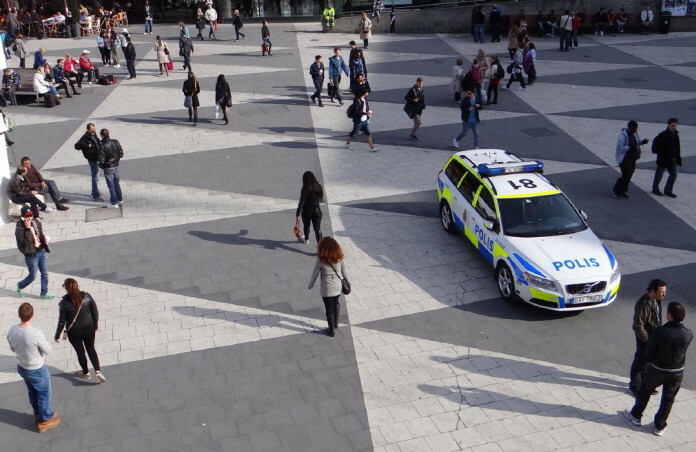 If you want to immerse yourself in the vibrant city life of Stockholm, you should sit on a bench on the lively and sometimes noisy Sergels torg square and watch the hurrying Stockholmers for a while. Here is the busy city centre. The main shopping streets lead to this square. 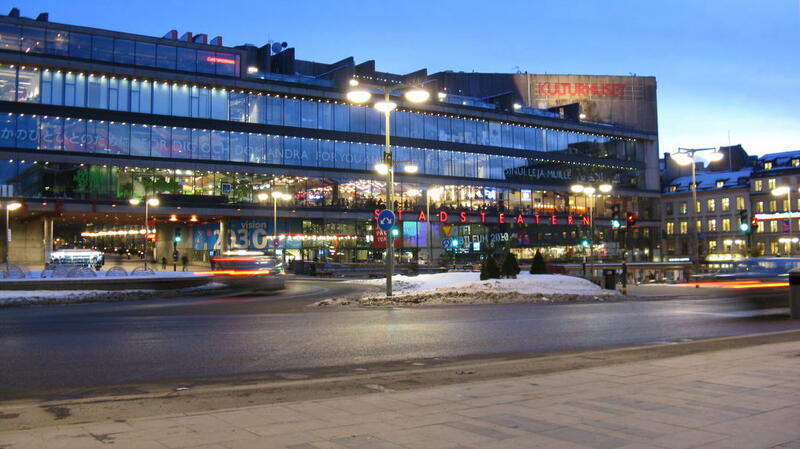 Below the square there is the Stockholm metro hub “T-Centralen” and the shopping centre “Sergelarkaden”. In front of T-Centralen you find the black-and-white tile pattern that consists of large-sized triangles and is well-known from many photos (see our picture below). 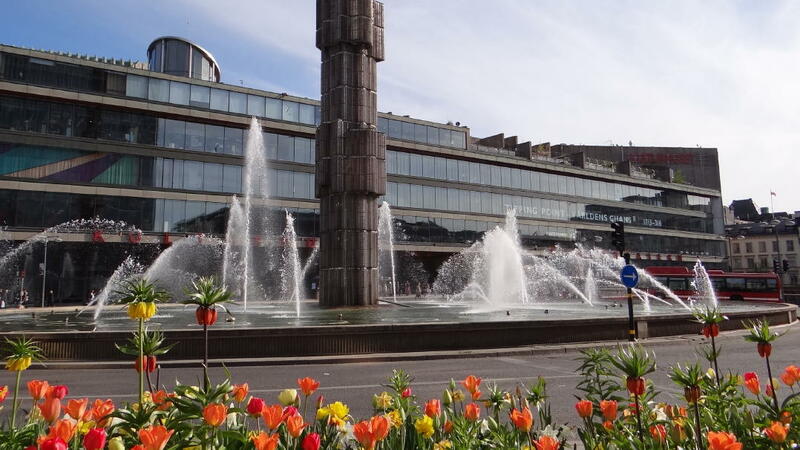 The Stockholmers call this part of Sergels torg just “Plattan”. Sometimes political demonstrations take place here. Unfortunately, this is also a place where criminality and drug trafficking have spread (be aware of pickpockets). Therefore, many Stockholmers avoid this place in the evening. As a result there are hardly any restaurants in this area. 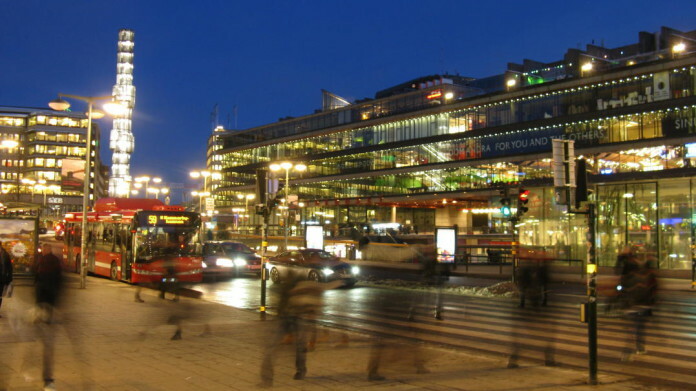 On the south side of Sergels torg there is the massive construction of the cultural centre. Here in the “Kulturhuset” you can read the newspaper, visit exhibitions, have a coffee or go to the theatre. The current event schedule is available here: www.kulturhusetstadsteatern.se. The Kulturhuset also houses Stockholm’s major tourist information centre. 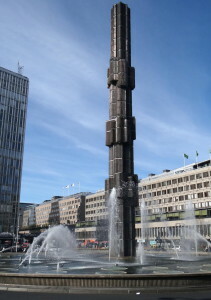 It is run by Stockholm Visitors Board (SVB). SVB is the official tourism promotion agency of Stockholm and fully owned by the City of Stockholm. In the immediate vicinity of Sergels torg, on the Klarabergsgatan 50, you can find the large department store Åhléns City. In the basement it also has a food section where you can stock up on the essentials. Among other things there are ready-made salads and baguettes – and this food is better and cheaper than at most of the kiosks around Sergels torg. 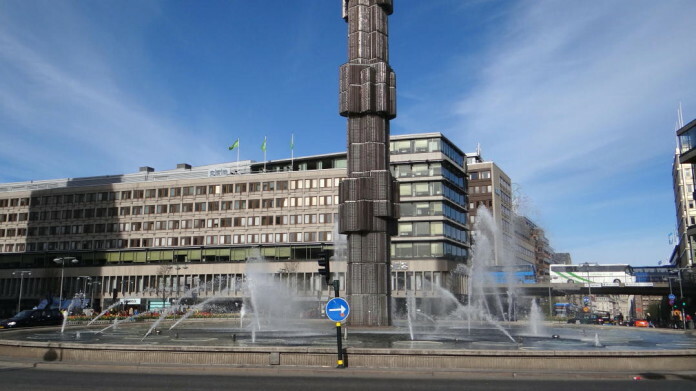 Unfourtunately, there will be many construction sites around Sergels torg until 2018. Many concrete ceilings must be replaced.